I have been in love with the Granny Square block for a long time now. 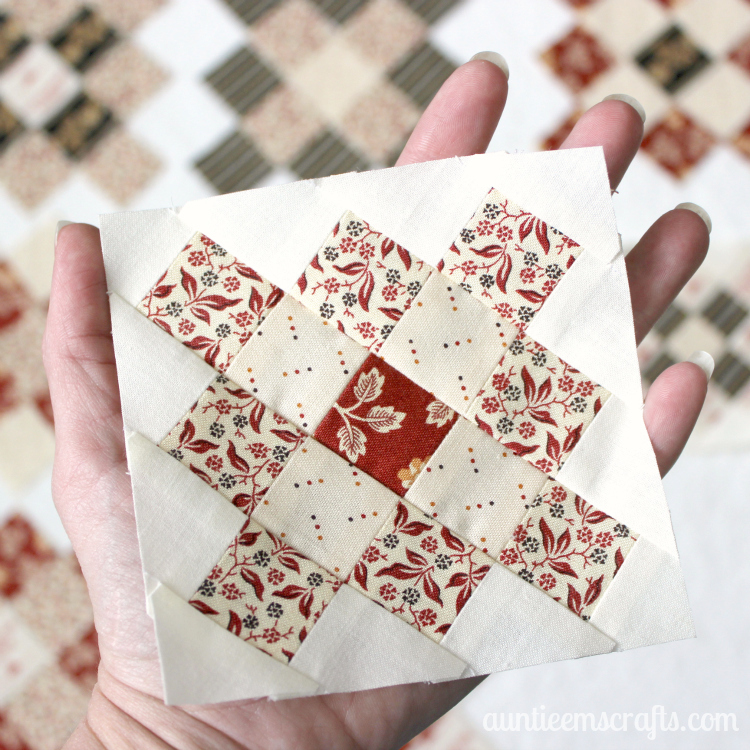 It wasn’t until Andover Fabrics sent me a fat quarter bundle that I was brave enough to try it out. 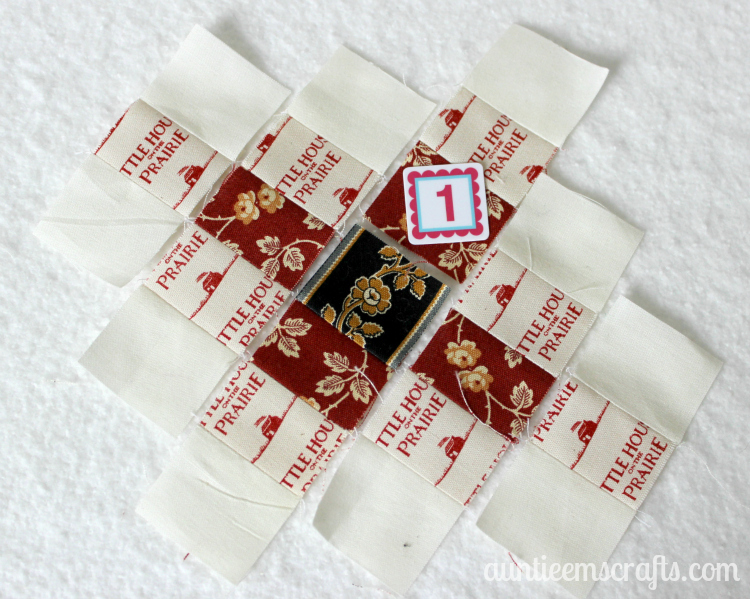 Here is how to make a mini granny square that measures just 4″ finished! 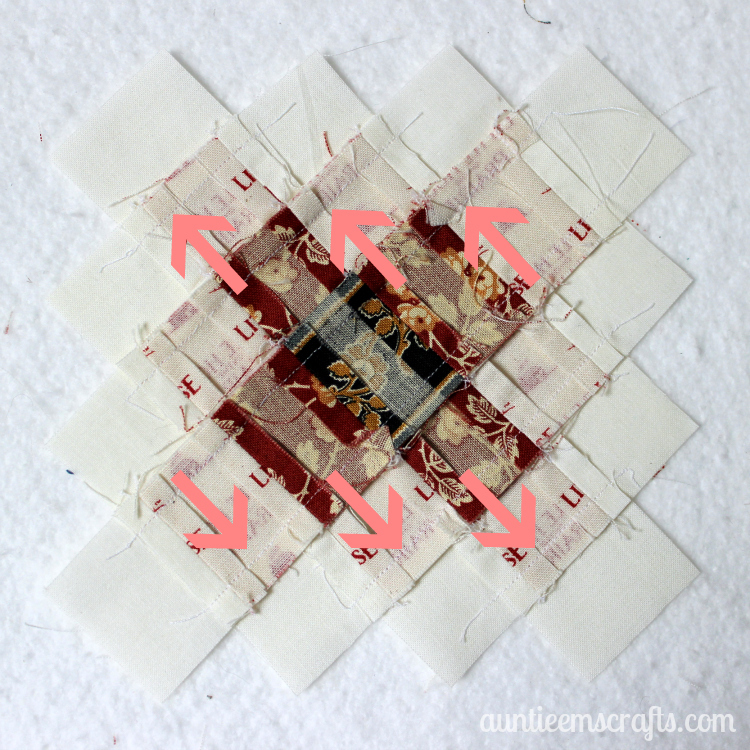 – Use a Shape Cut ruler to cut these squares. 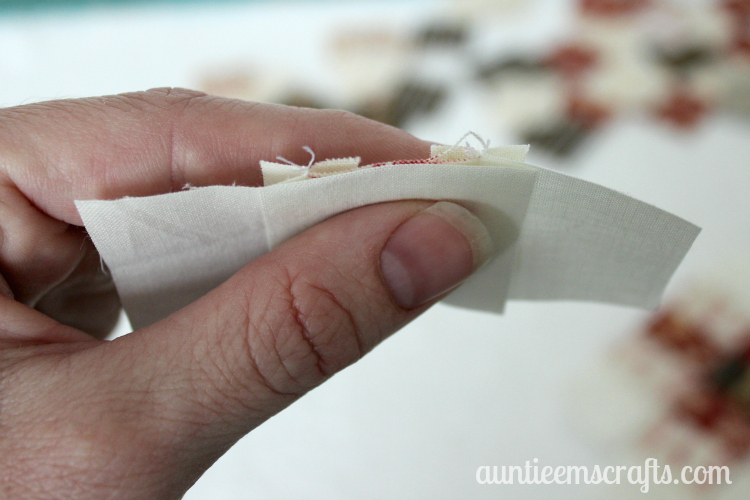 It helps make accurate cuts and is especially helpful if you need to fussy cut the fabric! 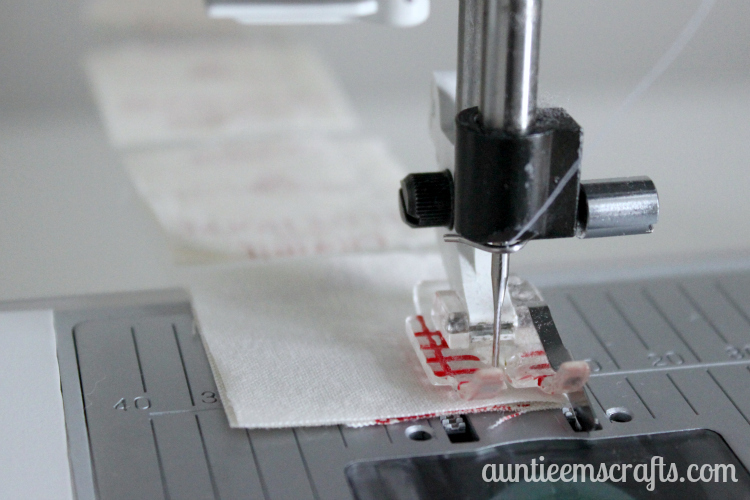 I used some alphabitties to help illustrate where to sew. At this point, you should have your solid squares laid out too. 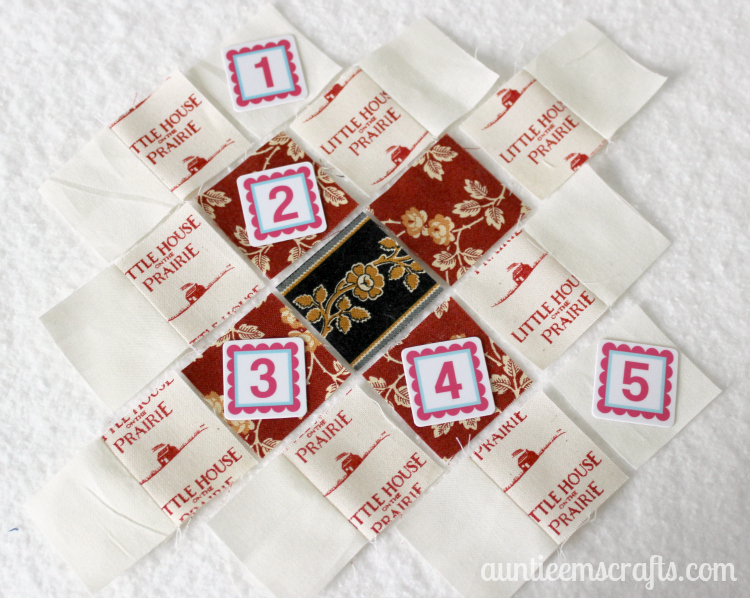 You will sew a solid square to the left of blocks 1-5 and to the right of blocks 6-8. 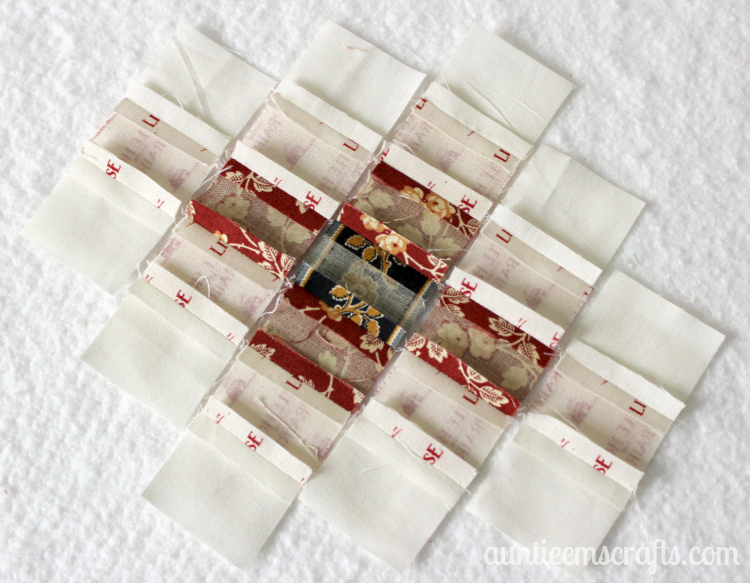 You’ll want to use a smaller stitch than normal since the pieces are so small. My normal stitch is a 2.5 so I set my machine to 1.5. 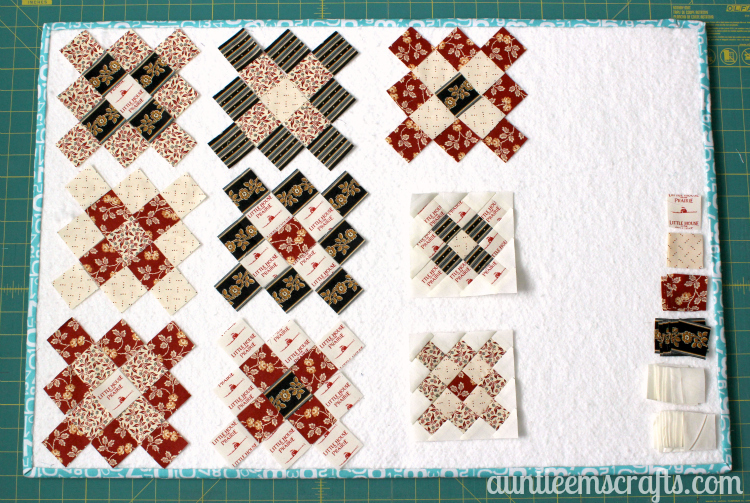 I used a 1/4″ piecing foot and chain pieced the blocks. Iron your seams open for each block set. Sew blocks 1-5 to the block on its left. Iron seams open. Repeat this process for 1-4, then 1 as shown. The underside should look like this, with all seams open. Now you will add the top left and bottom right squares. 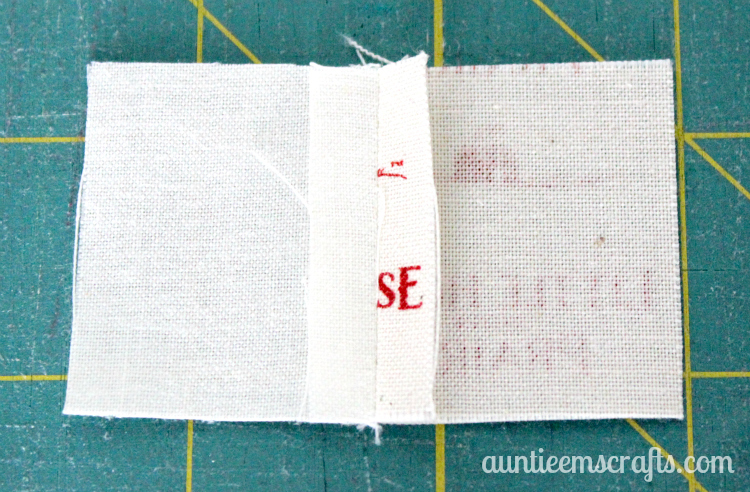 Line the block up with the ironed out seam. This time you will iron towards the added block rather than ironing the seam open. 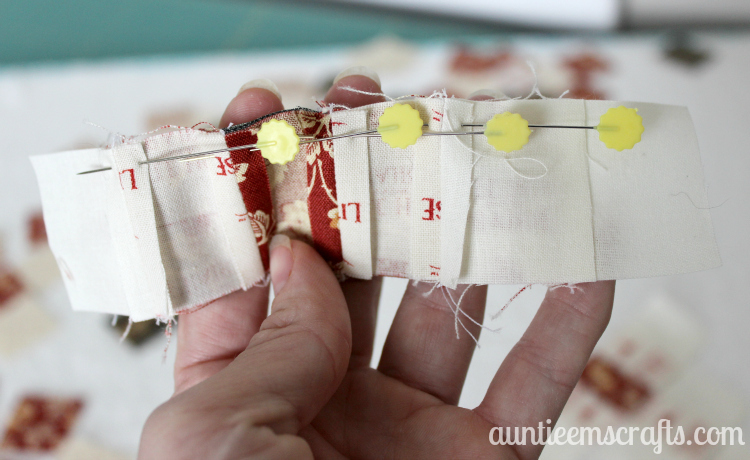 Then you will starting sewing the rows together. Pin the rows together at the joints. Iron the the sets away from the center row, towards the corner blocks. Once assembled, the underside should look like this with seams ironed towards the corners. This will help the rows lay flat. 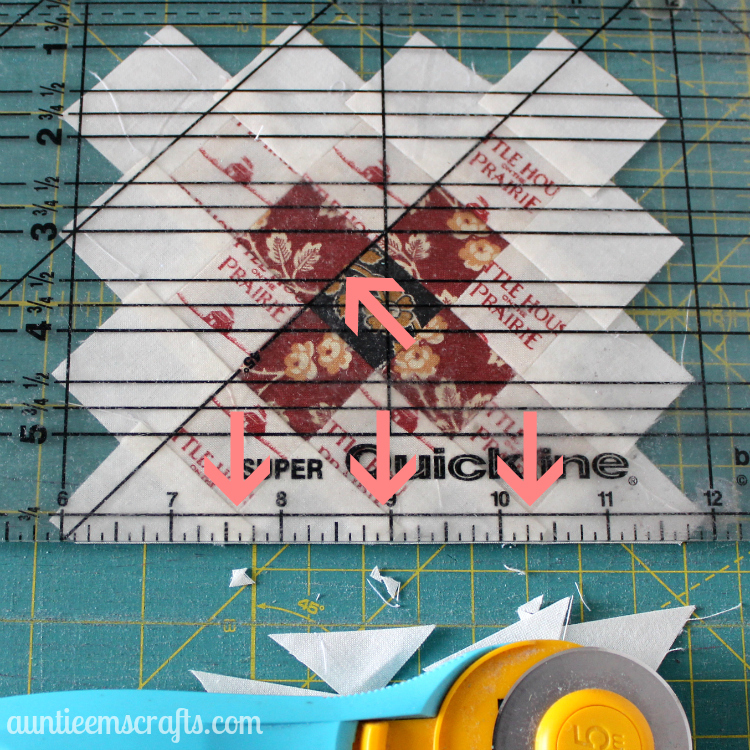 At your cutting mat, line up a 45 degree line with the center blocks so that you are also 1/4″ past the granny blocks. 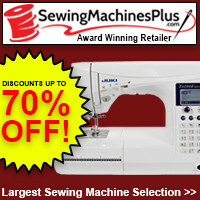 When you are sure it is all lined up properly cut off the excess fabric. Continue turning the granny block until all four sides have been trimmed. 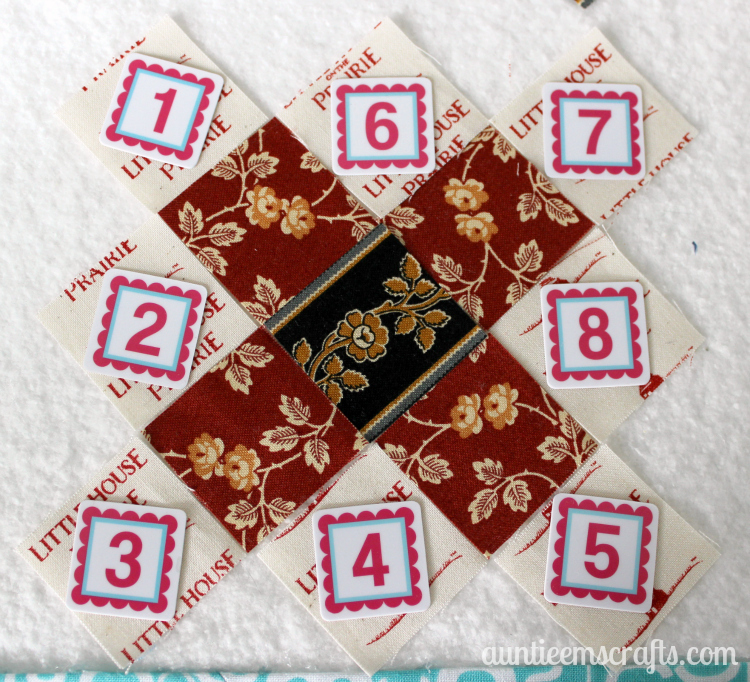 The granny block should measure 4.5″ x 4.5″, so 4″ finished. Isn’t that adorable?! Well, now I am hooked. I already have several other blocks made in different fabrics. 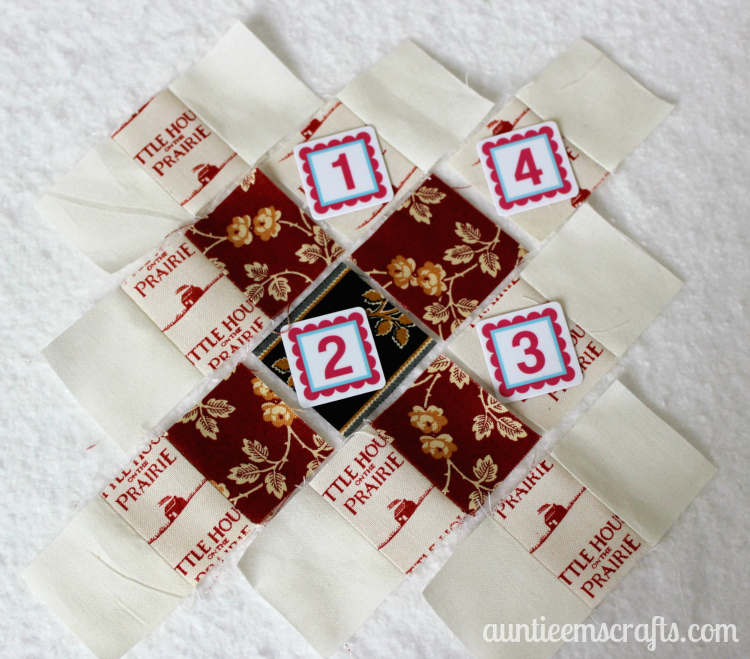 Here are some other ways you can use them: a pincushion, an ornament, and a mini quilt! Gracias por compartir y es una magnifica idea para aprovechar los pequeños restos. Felicitaciones y Feliz Navidad! much for taking the time to post the tutorial for this little beauty! I know I will make at least two! What is the width of the binding? I also love “Little House on the Prairie, it was one of the few programs I was allowed to watch when growing up. 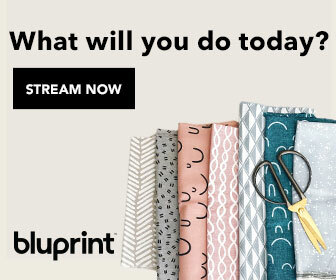 I am going to make this quilt with 1930’s prints for my niece and oriental fabrics for my mother (burgundy and yellow) and mother-in-law (purple and orange). Hi there! The width of the binding on the quilt was 2 1/2″.